Paasmer Edge Software Free trial offers all the Edge and Cloud features for 15 days trial. 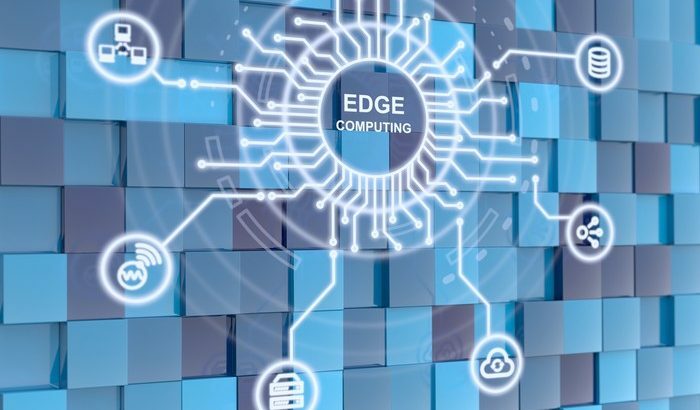 Paasmer Edge Fundamentals offers all the core edge features with Edge Rules Engine along with all the cloud features that include device shadow, device management, feed management, configurable data visualization, and remote actuator control. In-built support for IoT connectivity protocols including WiFi and Bluetooth. PAASMER Edge Analytics saves you thousands of dollars by running analytics of the live data on EDGE before sending it to PAASMER cloud and execute. It offers to auto-execute control functions at Edge in real-time based on the analytics functions. All cloud features that include device shadow, device management, feed management, configurable data visualization, and remote actuator control. An easy to use UI based configurations to select the input feeds to do selected analytics. Easy dongle connect and support for Gateway applications of up to 1000 sensors. Paasmer Edge Artificial Intelligence feature that demonstrates Paasmer’s capability to build AI based Edge solutions using Tensor flow and OpenCV. Aggregate – Calculates the minimum value, maximum value, mean and standard deviation on the last n numbers of feed values in the stream. Feed Monitoring – Continuously monitors the change in the feed value and updates it in the Paasmer platform. PAASMER Machine Learning has a built-in ML layer on Edge core. The PAASMER cloud supports the developer to train and test with different algorithms for their data set to choose the best one with maximum accuracy and it offers all the cloud features that include device shadow, device management, feed management, configurable data visualization, and remote actuator control. At the edge, it offers to auto-execute control functions in real-time based on the ML output data. Rich Data Visualization features and insights. An easy to use UI based configuration to select input feeds for a selected Machine learning model built using Paasmer ML framework and handle the predicted outputs from ML. PAASMER Edge Power is an all in one PAASMER Edge Software Suit with the highest level of built-in intelligence with Analytics, Machine learning and auto-execution of control functions at Edge with all the cloud features that include device shadow, device management, feed management, configurable data visualization, and remote actuator control. Mobodexter has released the version 3.0 of the Paasmer Edge Software that offers a new Edge feature “Edge Rules Engine” with the enhanced versions of Edge Analytics and Machine learning along with the basic version of Paasmer Edge Artificial Intelligence. The enhanced version of Edge Analytics offers customers, an easy to use UI based configurations to select the input feeds to do selected analytics. Customers can now execute control functions based on the analytics function. The new Edge rules engine feature can empower customers to automate control functions on the Edge based on the precondition performed on various types data that includes sensor data, EA output data and ML output data. With the enhanced version of the Edge Analytics and the Machine Learning, rules can be created with the data from analytic functions executed on Edge, the data from machine learning and various combinations for the sensor, analytics, and machine learning data to run automated control functions on the Edge. Paasmer Edge has the capability to run Artifical intelligence at Edge. The basic version of this feature released as part of Paasmser 3.0 demonstrates the Paasmer’s capability to build AI based Edge solutions using OpenCV. This feature that includes object deduction use case is available for free download from Paasmer development portal. 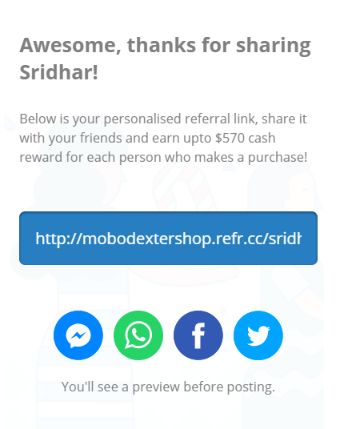 Mobodexter offers a referral program on the mobodexter shop. 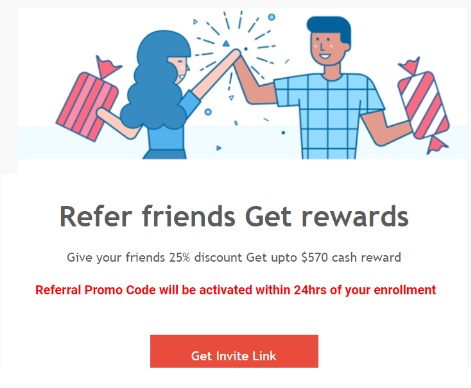 You can share your referral code with your friends and you can earn 10% upto $570 for each successful referral purchase and your friends will get 25% discount on each purchase using your referral code on the Mobodexter shop. 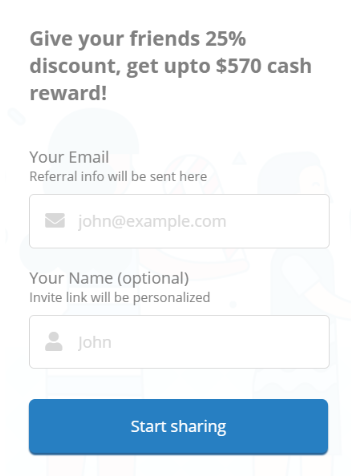 Clicking the Get rewarded on the pop-up or clicking on “Reward Points” menu item or going to https://mobodextershop.referralcandy.com/ directly takes you to the Referral program signup form. 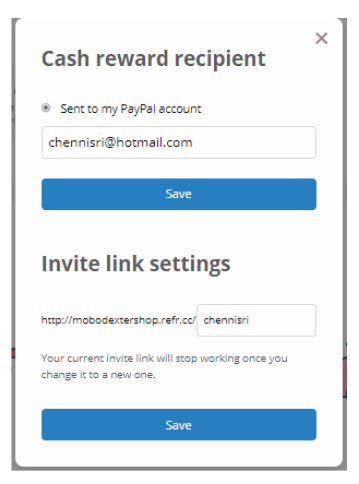 Click on the same to get an verification email. Enter the credentials to access your account. 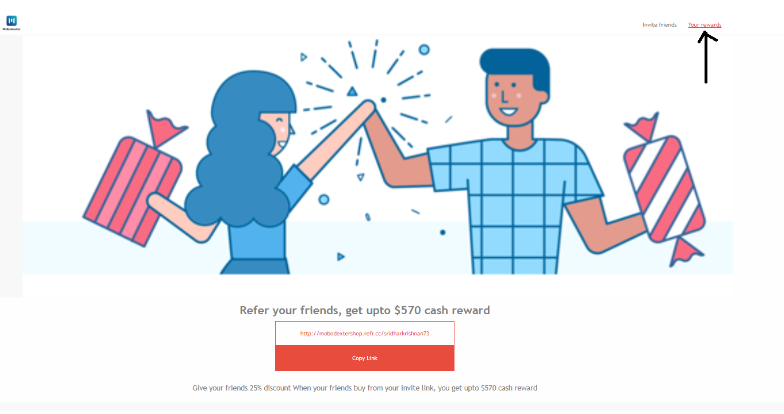 You can update your referral link in settings and see your referrals and rewards. Follow the steps below to access your account anytime after it is created. PAASMER allows customers to use the PAASMER Edge and PAASMER Cloud solutions for free with a 15 days free Trial license, that can be availed to evaluate the PAASMER Edge including Edge Analytics and Machine learning features and PAASMER cloud features including device/feed management and configurable data visualization. Here we provide step by step instructions on how to avail PAASMER Edge Free Trial license. You can see two license options for every device you add. Choose Free license for the Trial purpose and Complete the Device creation. Open Readme file and follow the instructions to install PAASMER Edge on your IoT device. Once the installation and configuration are completed on the Device with PAASMER Edge, a connection will be established between your physical device and the device shadow you have created on the PAASMER platform. Go to PAASMER Platform Web application to view your device showing online. You can follow other How to do videos in PAASMER YouTube channel https://www.youtube.com/channel/UCR23rufbYe9QXDSp2ibpmiA to configure and connect sensors and actuators, how to use other Edge and Cloud features for your Trial purpose. Paasmer has been consistently upgrading their software stack over the past couple of years based on feedback from their IoT developers and clients. Last year, Paasmer extended its reach and support beyond IoT into drone, robotics, and smart city applications. Earlier this year Paasmer made major updates to the Edge Analytics; Edge Machine Learning & Edge Artificial Intelligence software packages with the Paasmer 2.0 release. Today, Paasmer 2.1 launched with an upgraded Machine Learning Developer Kit and enhanced Paasmer Cloud GUI. THese new enhancements make it easier for developers to build machine-learning applications on the Edge. Typically, historical data sets and related parameters are used to train machine-learning applications; however, the new trained module will be deployed on the device itself which allows for continuous training and improved accuracy. Data visualization has also been updated in Paasmer Cloud GUI the new update allows developers to choose a different data configuration and presentation for each feed. The following presentation types have been added with the Paasmer 2.1 release: line chart, bar chart, circular gauge, vertical gauge, button and slider bar button. The biggest enhancement made to last years Paasmer 2.0 version was the addition of dockerized architecture on their Edge Software. To accompany the dockerized architecture, Paasmer 2.1 features a new section in the left side panel of the Cloud GUI called, “Docker Device”. This new section makes it easier for developers to replace a broken or malfunctioning device without having to buy a new license for faster prototyping and more tests on multiple devices at a time.